Emphasis on socialization, making new friends, self-help skills, gross and fine motor activities. Introduction to shapes and colors. 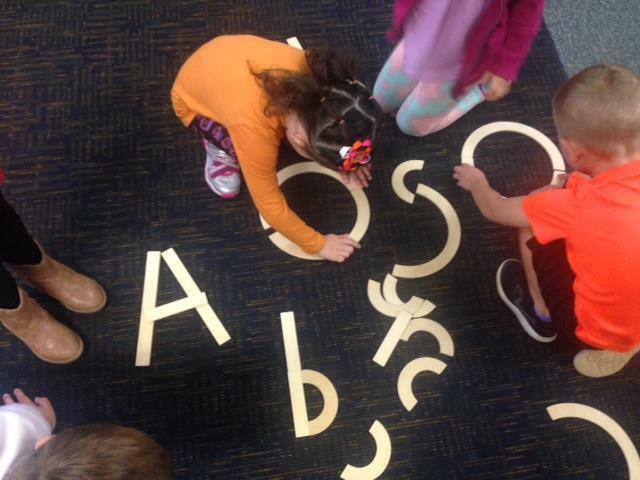 ​​Some number and letter recognition. This program offers fun-filled learning experiences with a loving and nurturing early childhood staff. A program for parents who need flexibility, just a few hours, or to add to the school day. It is the natural way a child learns and develops. "F​rom the moment I walked into the open house at Beach Street School I knew it was the perfect preschool for our family! Knowing that the teachers care for my children as if they were their own means the world to me!" "I sat down to write a little bit about Beach Street School (BSS) and figured it might help to ask my son, Jack, to list his favorite things about BSS. His response was “the teachers, my friends and the playground.” Spoken like a true 4 year old. But, his response got me thinking about why I love BSS so much. It is because of the teachers, his friends and the playground. The teachers at BSS have gone above and beyond my expectations. As a parent, I am always informed on what is going on at school, whether it be from the weekly reports or the amazing art work that makes its way from school to our fridge. The teachers at BSS clearly have a passion for teaching and for our children. My son has made a wonderful circle of friends while at school. I have seen him mature and blossom through these relationships, and for that, I am so thankful. BSS’s play-based learning approach really fosters the love of learning and of friendships within our children. Last but not least, the playground. I may be biased, but BSS has the greatest playground. The walk up to the playground is my favorite part of the school day. You are able to catch a glimpse of the kids running around carefree with their friends and you have time to catch up with other parents and care-givers. I could not be more thrilled that we are a BSS family!"